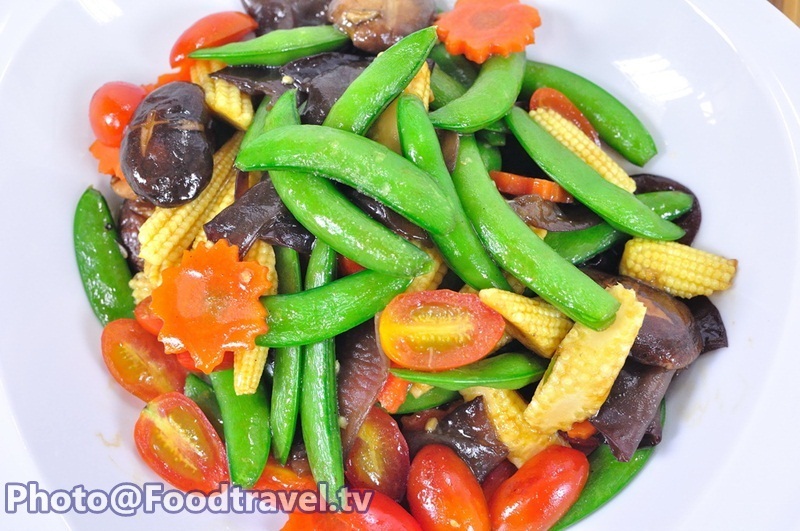 Multi Colored Stir Fry Mixed Vegetable (‘Pad Pak Lak See Jay) - This menu is simple but it's not easy to make this dish come out perfect, including just right cooked vegetables. 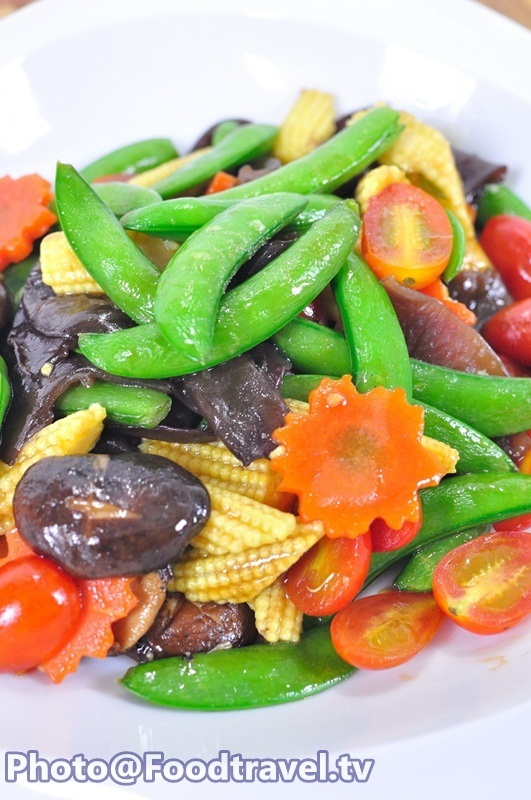 If the vegetables are overcooked, it'll not crispy. 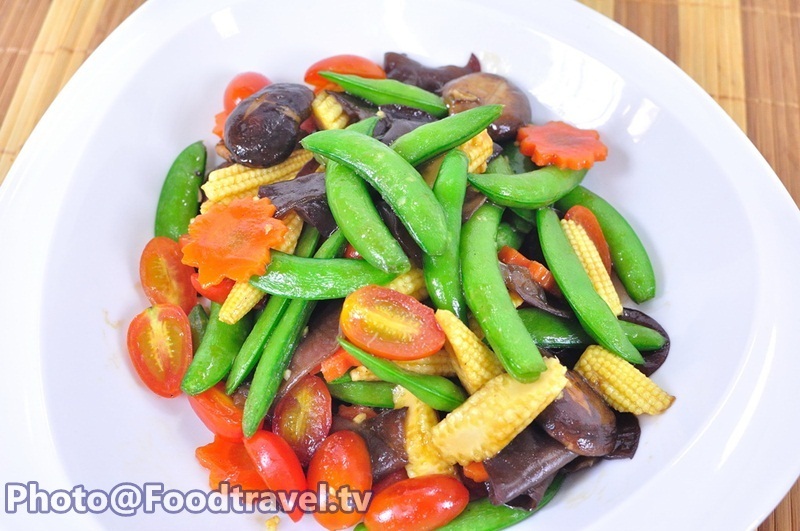 So we use high heat and use the water during stir - fry vegetable. 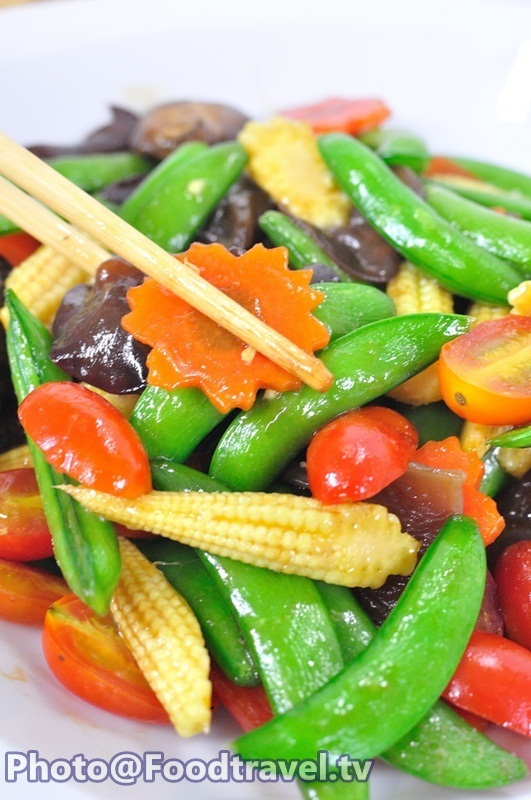 You will touch the natural flavors of all kind vegetables. 1. Heat the pan. 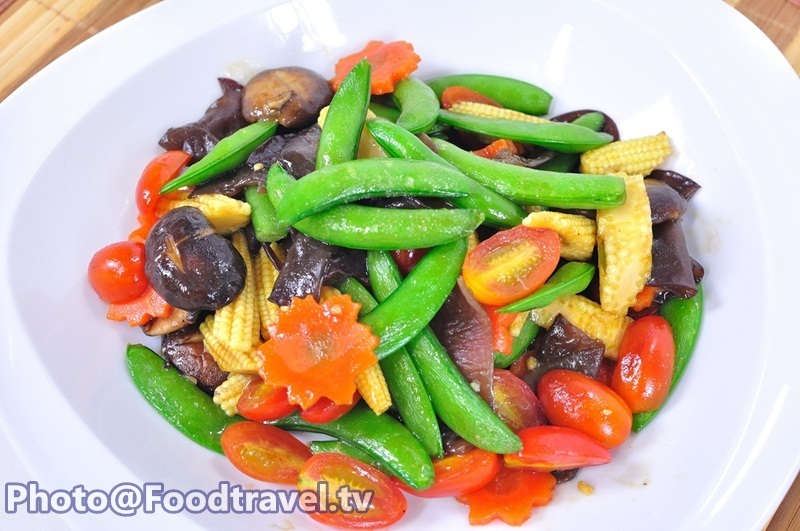 Add mushroom, pea and fry together. 2. 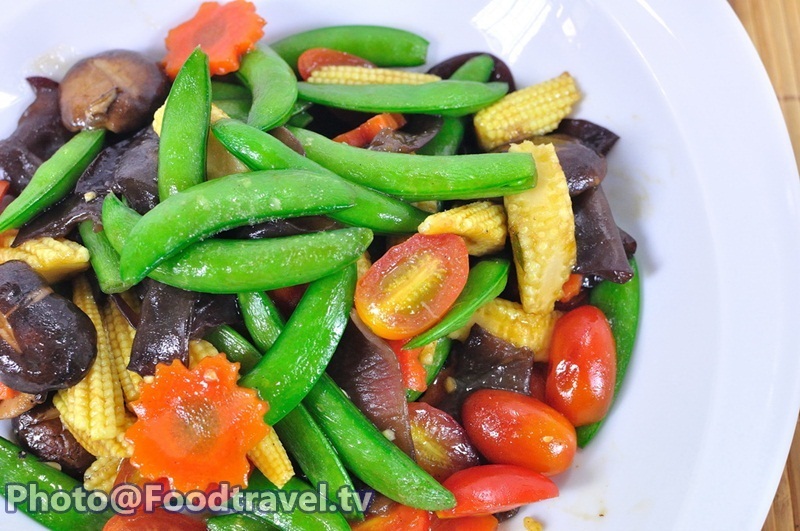 Add baby corn and fry to combine. Season with sauce. 3. 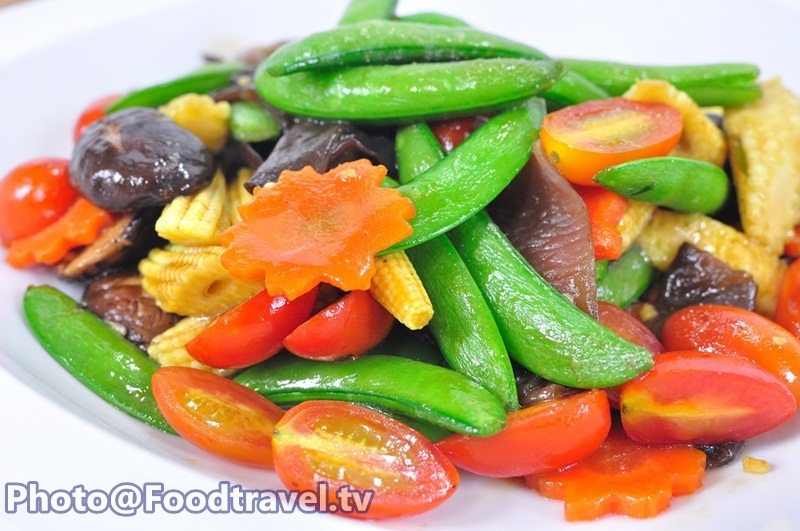 Add tomato, season with sesame oil, grounded pepper and fry to combine. Ready to serve. 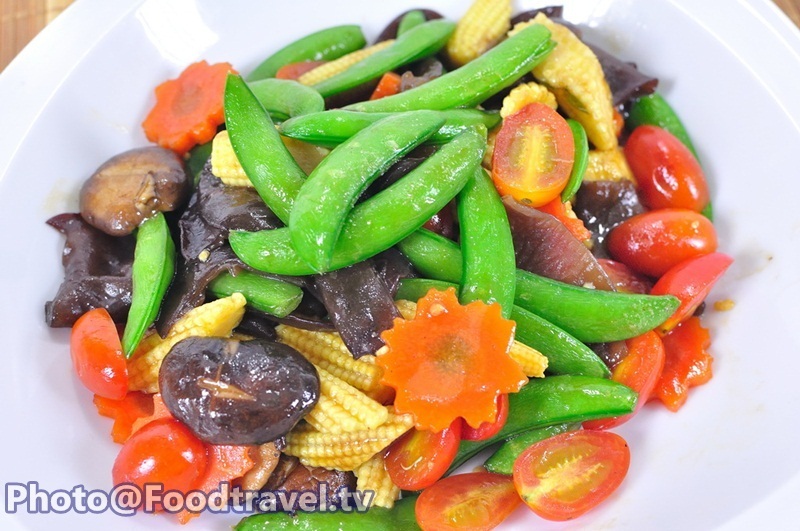 Multi Colored Stir Fry Mixed Vegetable (Pad Pak Lak See Jay) - This menu is simple but its not easy to make this dish come out perfect, including just right cooked vegetables. If the vegetables are overcooked, itll not crispy. 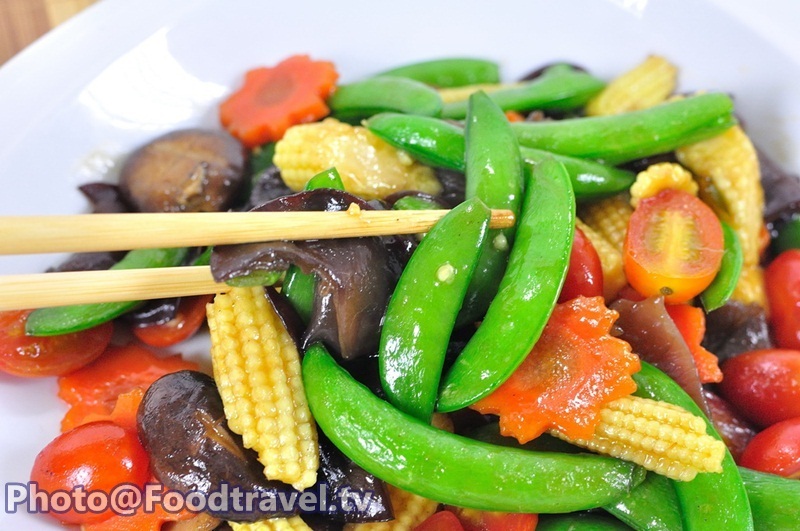 So we use high heat and use the water during stir-fry vegetable. 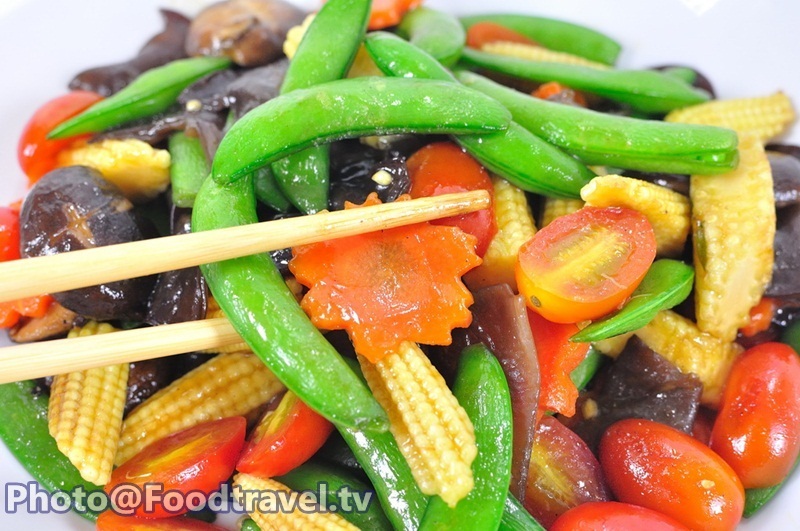 You will touch the natural flavors of all kind vegetables.